In 2008, Microsoft introduced Hyper-V as its own virtualization platform, allowing users to create and run multiple virtual machines (VMs) with various guest operating systems (OSs) within a single IT infrastructure. Microsoft provides various Hyper-V management tools which simplify management, monitoring, and configuring the virtual environment of any scale. However, third-party developers have also become interested in creating tools which can improve Hyper-V management. Due to this, the modern market is flooded with Hyper-V management tools which offer a wide range of tasks and services. Virtualization provides multiple benefits, including enhanced server and storage performance, minimized downtime, reliable data storage and protection, and reduced costs. Virtualization allows you to build large-scale virtual infrastructures which can be used for running workloads of small businesses as well as large enterprises. Thus, it is no wonder that this technology has currently become an essential part of many organizations. However, without efficient management and monitoring tools in place, running and maintaining these virtual environments can become cumbersome and difficult to handle. Due to this, you should consider installing Hyper-V management tools which can provide the greatest benefit for your virtual environment. Hyper-V management tools essentially act as a bridge between a physical server and the VMs running on it. Even though these products can vary in terms of their feature set, their main functions are practically the same. They allow you to manage Hyper-V virtual infrastructure, monitor resource allocation, streamline operations and processes, ensure connectivity across the environment, and detect various issues within the system. Currently, there are multiple Hyper-V management tools on the market which deserve your attention. Some of them have been developed by Microsoft itself, whereas others have been released by third-party vendors. Let’s discuss the most effective Hyper-V management tools and how they can be used to improve virtual machine management and monitoring. VMDK2VHD is a helpful and intuitive Hyper-V management tool which allows you to convert VMDK files into Hyper-V VHD files for free. The process of the disk conversion is fast and can be easily performed. Moreover, the program doesn’t modify the data contained in the original virtual hard disk and leaves its original properties intact. 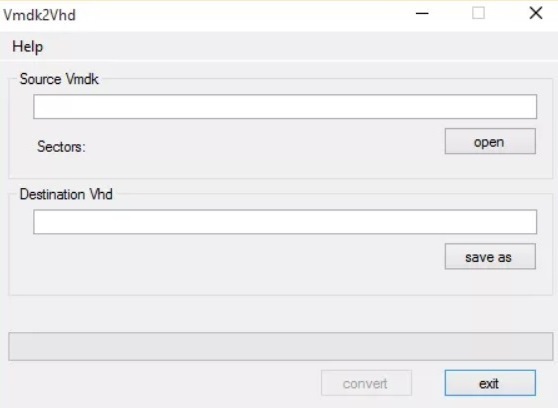 To convert a virtual hard disk, you first need to search for the source VMDK file and then assign the file path for the VHD file which will be created. Thus, by downloading this conversion software, you can easily solve any compatibility issues which are likely to occur when working in large virtual environments. This Hyper-V management tool can be used to manage Hyper-V VMs through the web-based user interface. With HV Manager, you can manage multiple Hyper-V servers, view a VM status via web interface, and assign selected VMs to users and groups. 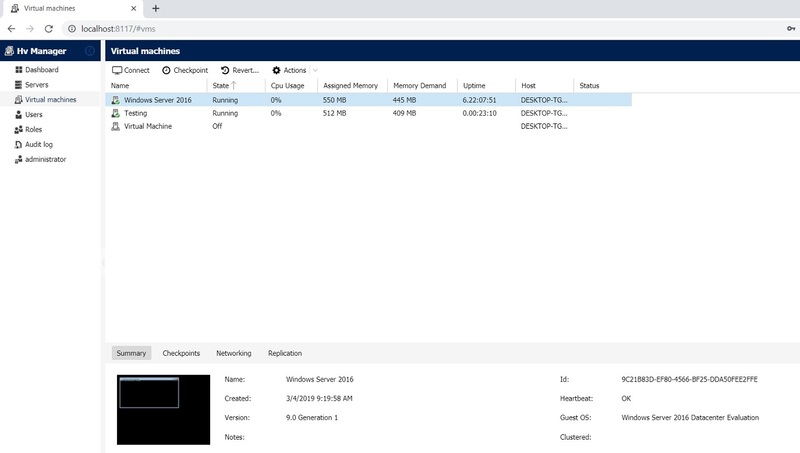 Moreover, you can securely access and connect to Hyper-V VMs and servers from any web-enabled device using encrypted HTTPS connection. HV Manager supports the following OSs: Windows Server 2016, Windows Server 2012 R2, as well as Windows 10 and Windows 8.1 with Hyper-V role enabled. HV Manager can be downloaded for free from the product’s main website. After the 30-day evaluation period, you can either purchase a per-server license or continue using the product for free. However, in the latter case, HV Manager permits you to manage only 5 VMs with one server connection and one user. Best Practices Analyzer (BPA) is a Hyper-V management tool that is available in Windows Server 2012 R2, Windows Server 2012, and Windows Server 2008 R2, which can be used to scan Hyper-V roles enabled on servers and report violations of best practices to the administrator. When using this tool, you can detect if there are any server configurations which do not correspond to the best practices recommended for the Hyper-V role that may cause a lot of issues with performance. After scanning is complete, Hyper-V Best Practices Analyzer (BPA) produces a report containing the warnings or errors which have been identified within the Hyper-V role. Moreover, you are provided with a list of recommendations and guidelines on how to fix these issues. The BPA is a built-in component of Windows Servers which can be accessed via Server Manager. However, this product can also be downloaded from the Microsoft Download Center, but this version only works for Windows Server 2008 R2 and Windows Server 2008 R2 SP1. If a VM isn’t regularly updated, it might become vulnerable to attacks and eventually create a security hole in your Hyper-V environment. To address this issue, the Virtual Machine Servicing Tool was created. This Hyper-V management tool simplifies the process of updating VMs, virtual hard disks, and VM templates which have been in a powered-off state and so did not receive any OS, antivirus, application updates, or security patches for a long period of time. The Virtual Machine Servicing Tool 3.0 can be downloaded from the Microsoft Download Center. Note that the product is compatible only with the following OSs: Windows 7 and Windows Server 2008 R2. Microsoft System Center Management Pack can be used to monitor the state of Windows Server Hyper-V 2012 systems, which entails checking the health of Hyper-V 2012 hosts and their VMs, as well as virtual disks, virtual components, and virtual hardware. This Hyper-V management tool can be downloaded from Microsoft’s official website. This version supports the following OSs: Windows Server 2008, Windows Server 2008 R2, Windows Server 2012, Windows Server 2012 R2. However, in order to use System Center Management Pack, you need to first enable the System Center Operations Manager (SCOM) and then import the required management pack into the SCOM catalogue. 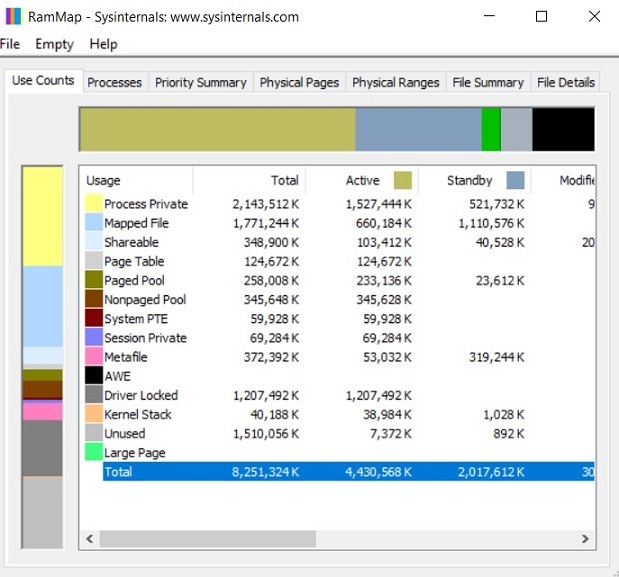 This Hyper-V management tool allows for analyzing how memory is used within your Windows system and whether RAM is being allocated as required. RAMMap is a stand-alone product which is compatible with Windows Server 2008 and later versions, and can be downloaded for free. This tool should be run within a virtual infrastructure in order to determine whether the available memory is properly assigned to the VMs and system components which require it most. Thus, by running this application, you can always be aware of any issues with memory usage within your virtual environment. Hyper-V allows you to create VM replicas and then send them to a secondary site where they can be stored and used for future failover. Thus, even if a disaster damages your primary production center, you can rapidly transfer the workload to the secondary site, which ensures business continuity. With the Capacity Planner for Hyper-V Replica, you can identify which server, storage, and network configurations are most efficient for performing Hyper-V replication. This Hyper-V management tool can be downloaded from the Microsoft Download Center and run on Windows Server 2012 and Windows Server 2012 R2. After opening the Capacity Planner wizard, you are asked to fill in the primary site details, replica site details, and extended replica site details, choose which VMs to replicate, and enter estimated WAN bandwidth requirements. After that, you can run the test and receive an HTML report with the calculated results. Note that it is recommended that you run the test during your regular working hours to receive the most accurate results. Thus, the Capacity Planner for Hyper-V Replica allows for assessing the capabilities of your virtual infrastructure and ensuring that Hyper-V replication goes as planned. 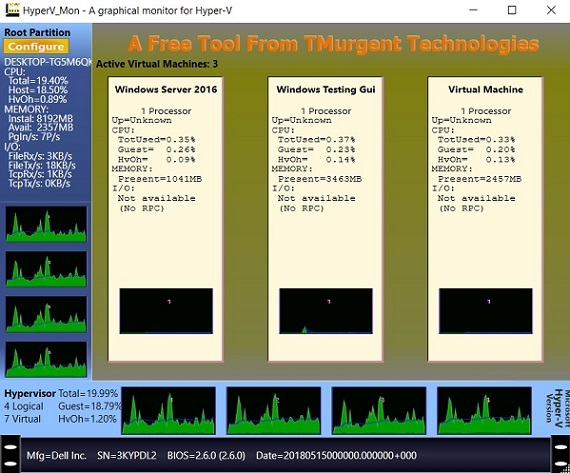 HyperV_Mon is another Hyper-V management tool which provides a visual representation of Hyper-V performance and includes detailed information about running VMs. This product can be downloaded for free and it supports the following OSs: Windows Server 2008, Windows Server 2008 R2, and Windows Server 2012. With HyperV_Mon, you can monitor the state of CPU, memory usage, and I/O performance of the selected VM. Note that for this tool to work, you are required to have the NET 3.5 Framework installed and the WMI access to the Root Partition Server enabled. This Hyper-V management tool is designed to assess your current virtual environment, analyze the available hardware and software resources, and plan for future migration projects. 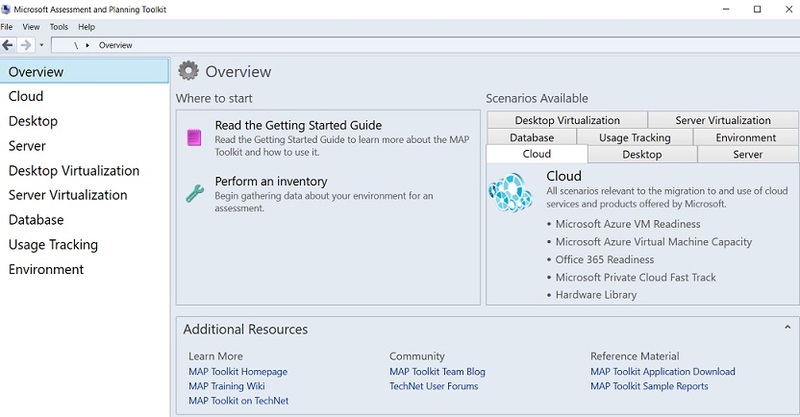 With the Microsoft Assessment and Planning (MAP) Toolkit, you can perform an inventory of available resources and choose what kind of hardware, device, and software information you wish to be collected within your virtual environment. The MAP toolkit supports the following OSs: Windows 10, Windows 7 Service Pack 1, Windows 8, Windows 8 Enterprise, Windows 8.1, Windows Server 2008 R2 SP1, Windows Server 2012, Windows Server 2012 R2, Windows Server 2016. The product can be downloaded from the Microsoft Download Center. Thus, the MAP Toolkit allows you to assess whether a selected server is suitable for virtualization or whether it can be used for hardware and software migration. Core Configurator 2.0 is a Hyper-V management tool which can be used with Windows Server Core 2008 R2 and Hyper-V Server 2008 R2. Later, another version of Core Configurator was released, which was intended for managing Windows Server Core 2012 and Hyper-V Server 2012. These OSs do not have a graphical user interface (GUI). They can be configured using only PowerShell cmdlets, which can be a challenging task for new users of Hyper-V. Due to this, Core Configurator was developed, which allows running PowerShell commands from a GUI console. Using this Hyper-V management tool, you can perform a number of operations: configuring Hyper-V host and VM settings, changing network settings, and monitoring Windows Server licensing. Currently, the product can be downloaded for free at Codeplex. RDCMan is a lightweight and easy-to-use solution which enables access to any computer within your virtual infrastructure. 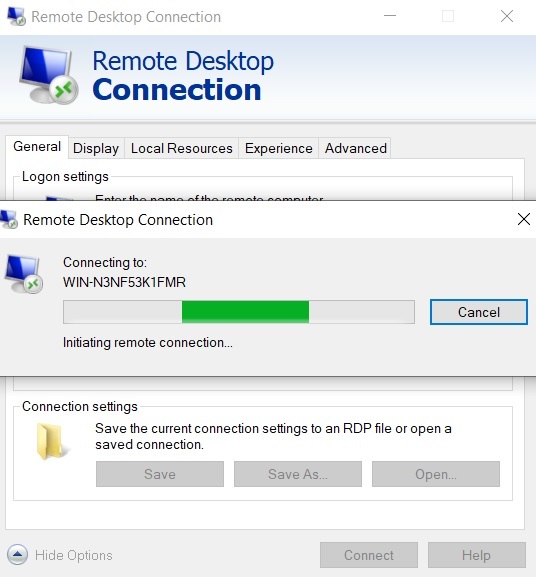 Remote Desktop Connection Manager (RDCMan) can be used by IT administrators working in large server labs or server farms to manage multiple remote desktops from a single location. Note that RDCMan is free for use and can be downloaded from the Microsoft Download Center. However, this Hyper-V management tool only works with Windows environments. Thus, it supports the following OSs: Windows 8, Windows 8.1, Windows Server 2012, and Windows Server 2012 R2. The Windows Assessment and Deployment Kit (Windows ADK) is a set of utilities which allow you to perform various management tasks in large-scale virtual environments and automate the deployment of the Windows OS to new computers. With the help of this Hyper-V management tool, you can test the performance and efficiency of your infrastructure and its components. As a result, you can assess the system’s state, identify issues which affect your computer, and decide on what can be done to improve its performance. Windows ADK supports Windows 8, Windows 8.1, Windows Server 2012, and Windows Server 2012 R2 OSs and it can be downloaded for free. NAKIVO Backup & Replication is a fast, effective, and reliable solution which can protect your virtual environment for a fraction of the price. Its rich feature set allows you to protect Hyper-V, VMware, and AWS EC2 environments with a single product, requiring minimum input on your part. By installing NAKIVO Backup & Replication, you can get access to multiple data protection options including backup, backup copy, backup to cloud, replication, and site recovery. With NAKIVO Backup & Replication, you can create image-based, application-aware, incremental backup and replication jobs, which can be easily scheduled via the Calendar Dashboard. Moreover, your VM backups can be copied and sent to a remote site or a cloud. That’s where they can be securely stored and rapidly recovered if there is a need. Hyper-V replication helps you create and maintain exact replicas of your source Hyper-V VMs and send them to a remote location. If a disaster strikes and damages your production center, you can simply power on the VM replicas and transfer the workloads from the primary site to the disaster recovery (DR) site. Furthermore, you can considerably simplify data protection management with the help of Policy-Based VM Protection. You can set up policies that regularly scan your virtual infrastructure and protect specific VMs which match policy rules by automatically adding those VMs to corresponding jobs. These policy rules can be based on the following criteria: VM name, size, location, configuration, or a combination of these parameters. Site Recovery is another data protection option which definitely deserves your attention. It allows you to create site recovery workflows of any complexity level by arranging various actions and conditions into an automated algorithm. The workflows can be designed to cater to simple as well as complex DR scenarios. Also, they can be tailored in a specific way to best serve your business needs and meet expected DR objectives. In case you are not sure about the reliability and efficiency of your workflows, you can easily test and then update them without disrupting your production environment. Request a live demo by one of our engineers or download a full-featured free trial to test the product in your virtual environment today and see for yourself the many benefits that NAKIVO Backup & Replication provides.